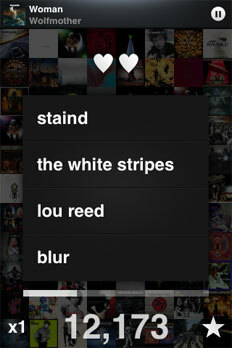 Song Mix is a song trivia game for the iPhone. When playing SongMix you choose a genre of music you like and the app plays you short snippets of popular songs from that genre. 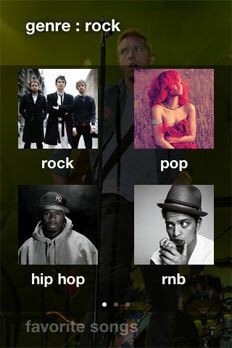 You need to recognize the song and choose the artist out of 4 options that the game shows you. The faster you answer the more points you get. When your time is up the app shows you your final score and a list of all the songs that were played (you can purchase them from there if you want). SongMix is also integrated with Game Center so you can compare your scores with your friends, and you can link your Facebook and Twitter accounts to show off your scores and achievements (if you want). The game is free and there is an in-app purchase of $0.99 which opens up the "pro" version. 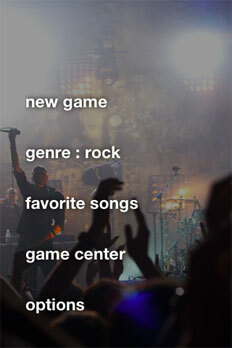 The pro version offers additional game modes and some more music genres to choose from. The free version lets you play Time-Attack mode which gives you 3 minutes to try to guess as many songs as you can (Time-Attack was good enough for me). Unlocking pro gives you the Arcade mode and Song Attack (where you try to guess as many songs out of 20).